Every pet owner wants their furry pal to look charming. A picture of your pooch with a cute smile and shiny fur and coat is worth a million dollar. However, to maintain your pet’s prince charming look it becomes quite important to avoid skin issues in your pet and groom him on regular basis. 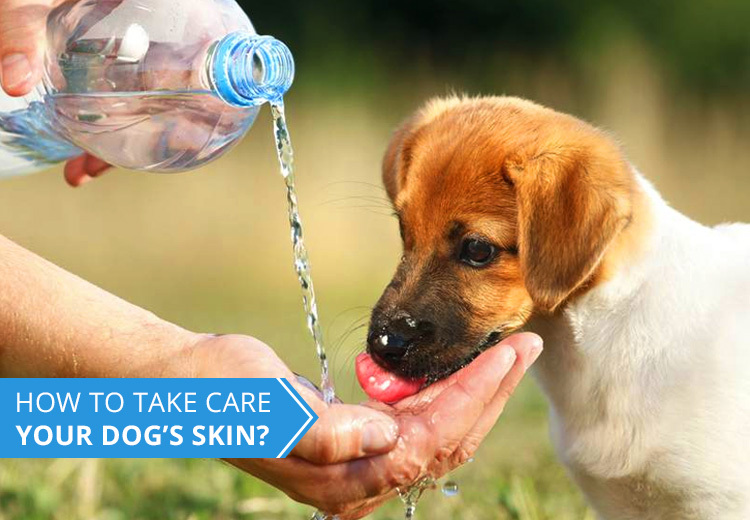 So, how do you ensure healthy skin and coat of your pet? Well! The answer to this question is not that difficult either. Skin care of a pet involves various measures, which are discussed here in length and breadth. Skin issues occur frequently in pets, which are under groomed. A pet well groomed is less vulnerable to skin allergies and thus no mindless scratching which paves way to hot spots and red lesions on the skin. A good dog grooming ritual includes regular baths, trimming of excess hairs and nails, combing fur and coat to detect flea presence and taking caring care of eyes and ears. Grooming provides adequate nourishment to the skin and coat of your pet, and thus maintains shiny appearance of your pet’s overall look. Anything that causes itching in your pet makes your gullible pet to indulge in continuous scratching and licking. This leads to occurrence of hot spots and rashes on the skin followed by hair loss. Often the main culprits that force a pet to itch continuously are fleas and ticks. Therefore, use flea control products such as Frontline Plus to keep fleas and ticks at bay from your pet’s life. Water is the main component for all living beings. It keeps your pet hydrated and provides nourishment to the skin of your pet. As a rule of thumb, an average built dog is required to drink one ounce of water per pound of body weight each day. To keep things simple, just ensure easy access of water in your pet’s surroundings and refill water bowls with fresh clean water daily. Your home that includes your dog’s dwelling place should not be a home for flea parasites and creepy insects. Therefore, vacuum your house thoroughly once in a week, wash your pet’s bedding and utensils with hot water for better cleaning and use insecticides to get rid of the parasites present in the yard and kennel area. At the same time, make sure that you are spending enough time with your pet to improve his mental health. Although vet visit becomes imperative when you detect any skin disease in your dog, routine vet visits are necessary to stay updated on your pooch’s health and to keep a check on any underlying medical condition, which a pet might be dealing with. The health and glow of your pet’s skin is all dependent on the above factors. As a pet parent pay heed to the above-mentioned wisdom points and take care of your furry companion’s skin and overall health.